Nintendo have taken a further step toward taking the plunge in the toys-to-life category, by revealing that they will launch their amiibo range with 12 interactive figures. That includes those revealed at E3 2014 in June, with Mario, Peach, Link, Samus, Yoshi, Donkey Kong, Pikachu, Kirby, Fox, Marth, Villager and Wii Fit Trainer now available to pre-order at select retailers. Super Smash Bros. for Wii U will be the first game to integrate their functionality, with Mario Kart 8, Captain Toad: Treasure Tracker, Mario Party 10 and Yoshi’s Woolly World to follow. 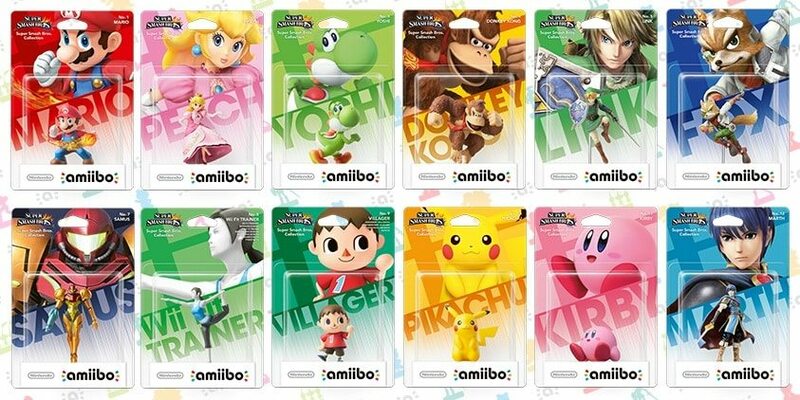 These will individually cost $12.99 each in the US, although pricing has not yet been confirmed for other countries.